Welcome to the New Booth Felt Co. Inc. Website! - Booth Felt Co Inc.
Hooray! You have found the new online home of the Booth Felt Co. Inc. As one of the modern felt industry’s pioneering brands, if we may be so bold, we “felt” it was finally time we made e-commerce the most recent step in our heritage. And so here we are. In all seriousness, we are very proud to be online, bringing our exceptional felt products to an even broader audience of felt users. Since our founding in 1905, the Booth Felt name has been synonymous with high-quality, American-made felt products. Through the years, Booth Felt Co. Inc. has championed felt-fabricating technology to its modern capabilities. 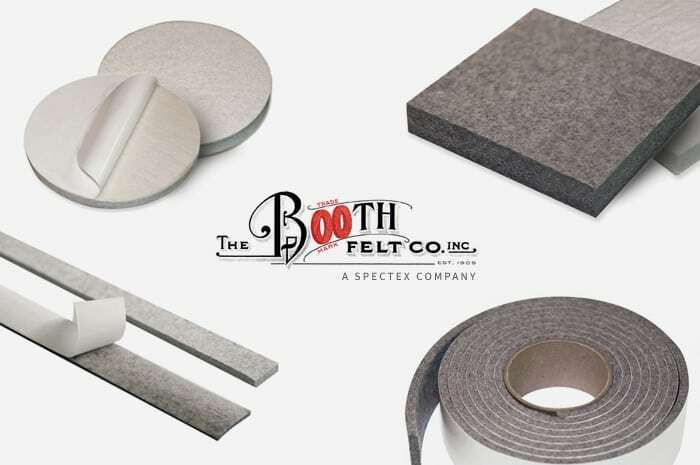 Now, as part of the Spectex LLC portfolio, the Booth Felt Co. Inc. is even better equipped to meet our customers’ needs, combining our specialized knowledge with access to powerful manufacturing technology and the finest raw materials. Even as we extend our sales efforts to the web, we promise to uphold our reputation for first-rate products and caring customer service. What will I find on Boothfelt.com? We are so glad you asked. Virtually our entire catalog of felt products is now available online, which includes die-cut parts, engineered non-wovens, adhesive-backed materials, wool felts, and SAE wool felts. 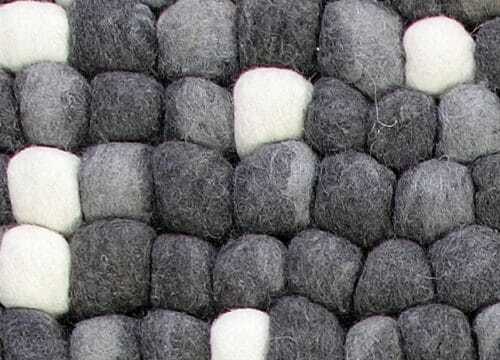 You’ll also find decorative and craft felt supplies for projects big and small. Felt rolls. Felt strips. Felt discs. Felt dots. Felt sheets. Felt by the yard. So. Much. Felt. Looking for something specific? Choose the general category you need and then try our handy product filters on the right side of the page. You can narrow the selections by felt grade, color, adhesive or non-adhesive, length, width, and thickness. Looking for inspiration? Check in regularly to our blog, where we will feature amazing applications of our diverse felt products across industries and in the arts. Who uses Booth Felt’s products? The bottom line? Our products can be used by anyone with a need for quality felt. How can I get notified about special felt sales and promotions? We like how you think. You’re saying you pretty much eat, sleep, breathe all things felt, all day long, right? No? Just us? Okay, well we do have a simple way to get your regular felt fix. Sign up for the Booth Felt e-newsletter, which features special discounts and promotions on our products along with new product introductions and blog posts. What if I need…a LOT of felt? Now we’re talking. For high-volume orders, please contact our super-helpful team at 603-330-3334 to discuss special shipping arrangements and discounts. Help us spread the word that Booth Felt is an incredible online felt store! We feel pretty strongly about felt’s seemingly infinite applications and capabilities. It’s highly absorbent, durable, resilient and cost-effective—yup, felt provides solutions to almost any design challenge! But you’re here, so you might already know all the possibilities of flexible, fuzzy, fantastic felt. Whether you are glad to have found the Booth Felt Co. Inc. products you already knew and loved now available online or you are just stumbling upon this incredible online felt store from a storied felt producer, you can share your discovery with your friends, colleagues, fellow engineers, designers, artisans, craftspeople, and beyond.